‘Rage’ was published by Revival Press and launched in June 2017 in Nelly’s Corner Café, Limerick by poet, novelist, filmmaker and artist Frank Golden. Patrick read the first two poems in the collection and the long poem that forms its basis. The launch was recorded on video. 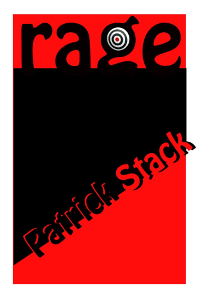 The overriding theme of Patrick Stack’s second collection, Rage, is survival of the darkness within that is born of abuse, of the immense rage that comes of it, and channelling that rate to target the structures that feed and perpetuate abuse. Nore is the per5sonal absent with poems on the loss of friends and would-be lovers, identity, madness, terrorism, and beauty. “If you are, like most Irish citizens, concerned about the negative material, spiritual, cultural and social evolution of Ireland since 1916 and require a vicarious literary means of redress against our historic hierarchical originators of this evolution, then Patrick Stack’s long and appropriately angry and vengeful poem, ‘The Day the Revolution Came’ (which is the foundation poem in ‘Rage’) should provide a comprehensive and bloodless method of so doing! […] Stack’s poetry contains a very intensely honest personal sense of grief and outrage. Even if we ourselves cannon quite exact such a bloody revenge, there is an undeniable pleasure in such a vivid poetic rendition and our unpetulant contemplation thereof.” – Arthur Watson, poet and artist. 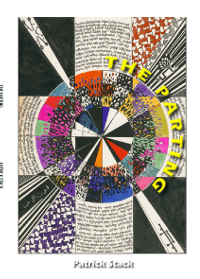 “Patrick Stack’s poetry bristles with an anger reminiscent of Kavanagh’s Adventures in the Bohemian Jungle, or of the pamphleteering Milton. He invokes the God Lugh to ‘help us banish the ravening beast form our lands and hearts.’ Stack probes deep ‘beneath the euphemisms’ that disguise the beasts in his tour de force ‘The day the Revolution Came.’ […] Stack eschews the language of the politically correct, opting instead for a rawness that strips bare his emotional integrity, seen to startling effect in ‘Beauty’ and the familial questioning ‘Grandma.’ He cuts through the mawkish to what Wallace Stevens calls ‘the plain sense of things’ and that in itself is a tremendous thing but when he allies it with the power of driven language we recognise Patrick Stack as the poet/prophet he surely is.” – Dr Arthur Broomfield, poet and Beckett scholar.